Founded in 1965, Vantan Design Institute (Vantan Design Kenkyu Sho) now has schools in Tokyo and Osaka. 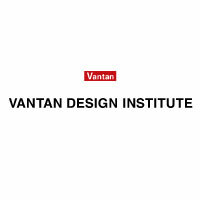 Vantan Design Institute maintains a joint program with London College of Fashion (LCF). The school actively encourages students to participate in this program in order to study at a top fashion institute and to experience living in a culture different from their own. I am sanghita biswas and i am very much interested to do fashion designing in japan. What is the criteria to take admission in japan. Can you please let me know the tuition fees for the Fashion design course ? Will it be taught in Japaneses or English ? And also what are the entry requirements ? 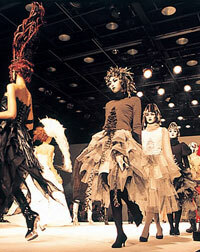 I am Kifaaf Shuhaibi and i am interested to lear fashion design in japan. IMPORTANT: Contact the school directly for questions about their program, tuition or scholarships! i am a fashion design student from india…want to study fashion styling from your school but do you teach in english language because i don understand japanese. Swati Vatsa, please contact the school directly. Incidentally, VANTAN teaches in Japanese. As I am from Nepal can you please tell me all the criteria for Fashion designing as well as all the details of fee structure. @Neha: Please see the English information here! hi, I am writing an article about japanese fashion and I was just wondering if you could answer me for some questions? 1. How does the Japanese fashion style look like? 2. Is it different from the European one? If yes, what are the differences? 3. What are the trends for 2015? 4. What is an inspiration for Japanese disigners? I m very much interested in hair styling and makeup course but i could not get the procedure to apply for the course. so could you please help me with that?? Hi Iam Sachithra Imesh from Sri Lanka.Iam intrested in fashion desing.I want to know facilities that youll have and the language course fees and many more. Please the English information here!